Study the vast, diverse science of living things. 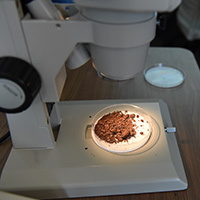 Whether you’re pursuing a degree in Biology, Pre-Health Sciences, a certificate in Environmental Science and Sustainability, or you’re seeking to fulfill your general education requirements, the SLCC Biology department offers you a strong foundation in the biological sciences. 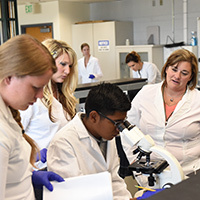 Our small student-to-teacher ratio, knowledgeable faculty, and excellent hands-on laboratory experiences will prepare you to succeed in pursuit of your goals in the fields of science and beyond. 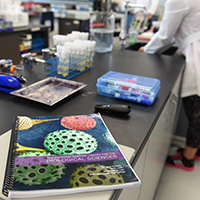 This two-year degree offers a broad foundation in Biology and allows students to transfer to a four-year institution in pursuit of a higher degree. This two-year degree allows students to transfer to a four-year institution in pursuit of a higher degree in the fields of Health Science. This innovative, one-year program is for individuals who have an interest in environmental sustainability or need training to meet the requirements of green building, energy management, and related fields.